RIP: Ramona Brant received clemency on 12/18/15, set FREE on 2/2/2016 and tragically passed 2/25/18- I don't have any fines so if I am fortunate enough to receive clemency, I will not be in debt and will have the support of my family to assist me with re-entry, and rebuilding my life anew. I yearn to participate in making not only my life but the lives of everyone I touch better because I will never take freedom and all its luxuries for granted. I will embrace every day as if it is a blessing. Danielle Metz – Serving Life – Received CLEMENCY on 8/30/16- In 1993, at the age of 26, Danielle Metz was sentenced to serve three life sentences plus twenty years for conspiracy to distribute cocaine. It was her first conviction. Evidence suggests that Danielle never knew that her husband, Glenn, was involved in drugs. When they married, he was 30 years old and she was 18. Josephine Ledezma – Life – CLEMENCY on 8/5/16- Josephine (Josie) was a teacher’s aide who married her high school sweetheart and had three children. She was never involved with drugs, never used drugs, nor had any desire to be involved in drugs, but like many women she was willing to do a favor for a family member. Angie Jenkins – Serving 30 Years Received Clemency- I am now at the Satellite Camp Prison in Dublin, just arrived Aug 15, 2014. I am currently volunteering to paint for a Halloween event that the staff is holding for their children here. I am painting props and backdrops for photos we will be taking of the children for this event. Pauline Kay Blake – 24 Years Received CLEMENCY on 08/03/16!! !- I am a strong woman and when I do get home I will do my best to restore all the love we have missed. I have a grandchild now! I hope to volunteer part-time at a homeless shelter because my boys have all ended up with out a place to sleep off and on for years. I pray that someone will find me worthy of clemency and let me go home so I can prove to others and myself that I deserve a second chance at a sober life. I now have the skills I never had access to before prison. Congrats to Cynthia Shank – 15 Years – Received Clemency on 11/22/16- While I would like to say that my time in prison has served to make me a better person, I can’t because that would be dishonest. I was once a contributing member of society, with a growing family. I am now divorced from my husband and separated from my daughters who need me desperately. At least a 1000 different times my daughters have cried out to me too "just come home." Paul Free – Serving Life For Pot – Received Clemency on 12/19/16!! !- Why commutation: I have already served over 20 years and which I believe is a long enough sentence for a non-violent marijuana offense. I have a spotless prison disciplinary record and have served as a teacher and mentor while incarcerated, as well as helped other inmates with legal issues, that has resulted in them receiving lower sentences. Mandy Martinson – 15 Years – Received Clemency 12/16/16- Like so many women, Mandy had a productive life and was a responsible citizen until she experienced trauma in the form of domestic violence. Her self-medicating to avoid stress turned quickly into a raging addiction and eventually into a sentence. Men Deserving Clemency – Larry Duke – Life for Pot – NOW FREE- Why Commutation Should Be Granted: Because I would receive a much lesser sentence if I were sentenced under the operation of in place today. My sentence under Title 21, 846 with no weight included in the indictment per AG Holder's memorandum, and no 851 enhancement for my priors, the maximum statutory sentence would be 5 years under 841 (b)(1)(D). Mary Rose Ziman – 27 Years – NOW FREE!- I am a very proud mother, grandmother and great-grandmother. I was fortunate to meet most of the grandchildren while incarcerated. During my incarceration I lost my husband on Christmas Day 2013, plus three brothers and a sister. I was on permanent disability before I was incarcerated. After 15 years my health is deteriorating rapidly. Lori Kavitz – 1st Offender – 24 Years IS NOW FREE!!! !- I have lost everyone in my family but my sons and my grandchildren, whom I've never met. I need to help my sons raise their families and always be there for them. I've taken so much from them by not being there. My mother and sister have both passed away during my incarceration and I was not able to be there when they needed me most or to even attend their funerals. Barbara Scrivner – 30 Years – FREE AFTER SERVING 20 YEARS!! !- When Barbara was only seven years old, she was molested by a friend of her mother’s boyfriend. This had a psychological impact upon Barbara that led to a cycle of abusive men and drug addiction. In 1996 out of despair and wishing to end the pain inflicted upon her incarcerated soul, Barbara attempted suicide by jumping off a 40-foot building onto cement. Sharanda Purlette Jones – Serving Life Received Clemency on 12/18/15- I took my case to trial, but when I took the stand in my own defense, I realized that I had put myself in a lose-lose situation. I still cannot believe that, in the United States of America, we sentence first-time non-violent offenders to life, and death, in prison. Teresa Mechell Griffin Received Clemency on June 3, Serving Life Sentence- I have 4 children, and 2 grandchildren with one on the way. My baby girl, who is now 23 years old, has autism and needs care around the clock. I have almost spent half my life in prison and I feel I’ve used those years productively. Anita Gage – FREE at LAST!!! 30 Years 6 Months- It hurts too much to focus on the past, so I try not to think about the fact that I have lost my brother (1997) and father (1999) while I’ve been incarcerated. I have also lost relatives on my mother’s side, an aunt and uncle and another brother has been in a coma since 2003. Elizabeth “Beth” Cronan – 28 Years – IS NOW FREE! Receives 2 pt reduction!- Beth had a wonderful life growing up as an only child in a loving middle class family. After she graduated, she went to work for her father as a dental technician. Eventually Beth got married, had a family and moved to Florida to live the all American dream. Everything was just that, until her husband divorced her and the bottom fell out. Eventually Beth sought help and was treated for clinical depression, but there was no remedy. Mary Ritcherson – 30 Years – FREE AT LAST- First of all, I would like to say that I am not a saint. I have made some mistakes for which I have dearly paid. However, the 30-year sentence that I am presently serving is extremely disproportionate to the alleged crime I was convicted for and to the sentences of my two co-defendants. Irma Alred – 30 Years for Pot – is NOW FREE – Drugs Minus Two!- I feel it is worth noting that the attitude toward marijuana has changed drastically. Many people are now earning a lot of money growing and selling marijuana in states where it has been legalized, so I think it should be a consideration as to whether I am considered worthy of this great privilege of clemency. Even if i was guilty of everything I was accused of doing, I don’t think a 30 year sentence is a necessary punishment, especially since everyone involved is now free. Therese Crepeau – IS NOW FREE – thanks to the 2 pt reduction- This is the middle of my 21st year in Federal Prison; I was sentenced to 35 years for a crack/cocaine conspiracy. I was convicted for a crime that held a 16 years, 3-month sentence. I wasn't eligible for a reduction under the Crack Law because of the drug amounts/ratios I was sentenced to, but my judge awarded me 98 months off because of Amendment 505 and my sentence is now 26 years, 10 months. Dr. Marion “Mollie” Fry is now FREE!- All advances in society and science require sacrifices. The medicinal value of marijuana is becoming acknowledged because of the conflict between the will of the citizens and the federal government. The truth and the will of the people will triumph over political posturing. I plan to emerge from prison to resume a productive life in spite of my losses. Deniese Watts – 19 Years 7 Months – NOW FREE – 2 pt reduction!- I have one child who has a Bachelor's degree from Wittenberg University. My sisters have done an amazing job of raising my son (for the last 15yrs). All my sisters suffer from health issues. I need to be there for them during their time of need. I thank God for blessing me with a loving family. Andrea Asch – Free- On February 19, 1998, law enforcement entered Andrea’s home with a search warrant obtained and based upon the word of an informant who was facing an 85-year prison sentence. The “snitch” was guilty of being a major distributor of methamphetamine and to reduce his sentence he told the police who his “customers” were. Lisa Hanna – 19 years 7 months – Now Free – 1-20-14- My self-worth had evaporated by the time I was arrested and although I was getting back on my feet, I was still suffering from depression and my un-medicated bi-polar condition. I have put my family through so very much anguish, shock, shame, and expense - not to mention nearly five years of resolving issues of trust - that I can hardly believe how they continue to love and stand by me. Karan Denise Daniel is NOW FREE thanks to 2 point reduction.- I draw my inspiration from God and my Mother. My mother is very sick from Lupus and has been horribly sick for many years. She had pushed herself all these years to keep going so she could raise my daughter. My daughter was 7 years old when I came to prison she is now a beautiful 20 year old woman in college. Santa Chiappetta – Free- Santa’s early background and experience as Regional Sales Manager of Andiamo Luggage and then Vice President for a major sports bag company provided the experience she needed to start a successful trademark company that she worked hard for and was proud of. The turning point in her life and career happened the day she received a ‘cease and desist’ letter from the law firm of a huge oil company. Diana Webb – Free- Diana Webb is a non-violent first time offender, sentenced to 12.5 years in federal prison for conspiracy to manufacture methamphetamine. No drugs were ever produced and Diana was sentenced solely on the statements of three co-defendants who had priors and were looking at extremely long sentences. All three co-defendants are free today. Remy Penaflor – Free- Remedios “Remy” Penaflor’s involvement consisted of a one-time agreement to transport 2.6 kilos of methamphetamine for $1,500. Her role was that of a “mule” to carry drugs for someone else. She never met the “dealer” but was told by a “recruiter” that she was not supposed to sell or hold on to the drugs once she arrived in Hawaii from the Philippines. Mariella Liggio – Free- Between 1980 and 1989, Mariella worked for several real estate agencies, including Coldwell Banker and also worked part time for H&R Paving in Miami. Mariella’s crime was committed in 1985/86 when cocaine was being consumed on a massive scale, especially in the night clubs and was widely accepted as being “cool and hip.” Mariella does not claim to be innocent, but she was not guilty of all the allegations the government accused her of. Stephanie Nelson – Free- Stephanie Nelson served a 16-year sentence for one count of “Aiding and Abetting” related to the distribution of Methamphetamine. Stephanie was initially introduced to cocaine when she was 13. At 19 she had a heart attack from freebasing cocaine. Yolanda Reyes – Free- Yolanda Reyes is serving her 19-year, 7 month sentence. In addition, she was fined $40,000 for her participation with a man who sold cocaine. When he first came into her life, Yolanda was a lettuce picker in the fields with two baby girls and another on the way. 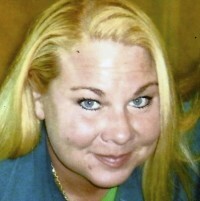 Debi Campbell – Free- Debi Campbell is serving a 19-year, 7 month sentence for Conspiracy to Distribute Methamphetamine. Debi does not claim to be completely innocent, but she was not the participant that the government’s informant made her out to be and does not deserve the sentence she received. Vicki Flanagan – Free- Vicki Flanagan owned a successful accounting firm with 40 employees called Flanagan & Co. in Columbus, Georgia. Her problems began when her firm became the accountants for a rural, 40-bed hospital in Glenwood, Georgia known as Wheeler County Hospital. The hospital served the population of the 9th poorest county in Georgia. Shirley Womble – Free- Shirley Womble is serving a 25 year sentence for "Conspiracy to Distribute Marijuana," although she never sold or distributed the drug. Shirley’s husband, Willard, engaged in the sell of marijuana. Several arguments occurred due to his decision to engage in illegal behavior because they made decent money with their legitimate business, Womble Auto Sales, and Shirley did not want their well being jeopardized. Maria Perez Moncada – Free- Maria Perez Moncada grew up in a stable family in Caracas, Venezuela. Her father retired after serving 40 years with the Ministry of Transportation and Communication. Maria has six siblings and all have successful, respectable careers. Maria has never been in any trouble with the law in her life and has a reputation for taking care of the sick and elderly in her neighborhood and church. Vicki Rosepiler – Free- I am seeking commutation of my sentence because I know that I can be a productive member of society instead of a menace. I was a menace to both society and myself. Maria Aragon – Free- Maria Lourdes Aragon was abandoned at birth by her 15-year-old mother. Her father died when she was a baby, so her grandparents raised her, but she carried the scars of rejection. Her mother remarried and had other children but never accepted Maria. Maria was never a problem child, was a good student and was in the California Scholarship Foundation. Karen Archer – Free- Karen Archer, currently serving her 19th year of a 24-year sentence for "Conspiracy to Distribute Methamphetamine," was not involved in the sale of meth -- she was merely present when her co-defendants were busted. Susana Cruz – Free- Due to my unfortunate destiny of becoming involved with a charming man, my whole life has changed. This whole situation has destroyed my life and devastated the lives of my children. My main objective is to keep myself from going crazy until I am able to reunite with my family. Ruth Carter – Free- Ruth claims that government agents tried to intimidate all of the employees in an effort to gain information. Because she couldn’t provide information and was unwilling to lie, she was indicted for drug conspiracy. 342 queries in 2.126 seconds.